Kora and Zero have stayed together through thick and thin. We aren’t certain of their prior lives, but it is obvious that this bonded pair love and depend on each other and cannot be separated. 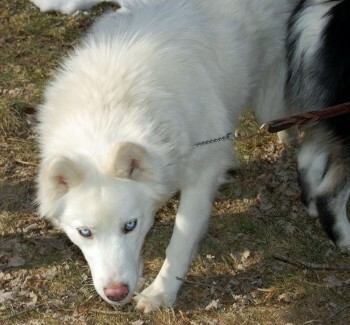 Kora is a beautiful all-white Female wooley (long hair) Siberian Husky that is three years old. 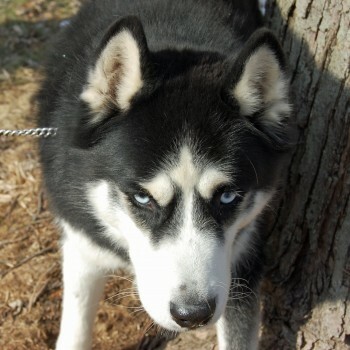 Zero is a jet black and white Male Husky that is 4.5 years old. They are very friendly and no one is a stranger to them for long. 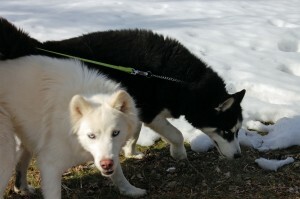 Kora and Zero recently came into MaPaw and we are enjoying getting to know them. We can’t wait to tell you more about this wonderful pair.